Following up on the Mini Lego Computer, Total Geekdom is now offering the Micro Lego Computer with modular add-on components. When you explain to someone the concept of a modular PC or smartphone, it often helps to point to Lego as a system that lets you quickly swap components back and forth. Mike Schropp of Total Geekdom took that idea literally and created a modular, Lego-like micro computer. 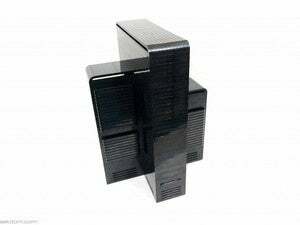 The entry-level PC sits inside a 4-inch high, 5-by-5-inch block case that looks like a giant 2x2 piece of Lego—or at least what a Lego block would look like if you built it in Minecraft. 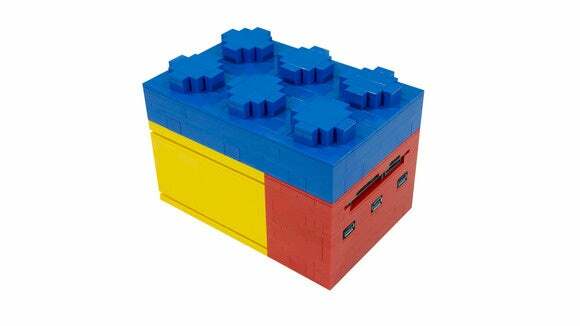 There are also Lego-style component accessories you can add on to your base system. Prior to the micro PC, Schropp created a non-modular Mini Lego Computer. When we talk about micro PCs around here, we often talk about little pocket-sized computers such as the Raspberry Pi. That’s not what this is. As you can tell by the footprint, the Micro Lego Computer is substantially larger than the 3.37-by-2.21 inch Raspberry Pi 2. A mockup of the micro PC’s innards. The $730 Core i5 model doubles the RAM to 8GB, offers the same storage, connectivity, fan, and power supply. The Core i5 swaps the HD 5500 graphics for a more powerful integrated Intel HD 6000 GPU. 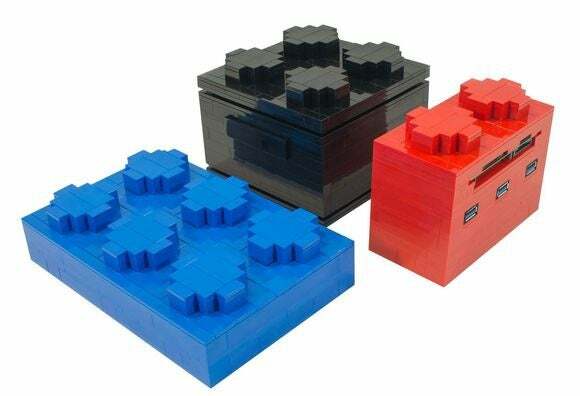 The Micro Lego Computer comes in three designs. Each PC comes with two USB 3.0 ports on the front, two on the rear, an ethernet port, mini HDMI, and mini DisplayPort. The PC can run Windows or your favorite flavor of Linux such as Ubuntu. The base micro PC case comes in three designs: industrial, brick, and tiled. The impact on you at home: The idea of slapping a Lego-looking PC on your desktop may be just what you need to spice up your computing life. Plus, the notion of being able to add-on components housed in more Lego blocks could be a lot of fun to play around with. You can also upgrade the internals of the base system pretty easily, including the motherboard. If you’re willing to spend $880, you can get a more powerful model featuring a quad-core 3.1 GHz Core i7 processor, 16GB RAM, and Intel Iris 6100 integrated graphics. Everything else remains the same. You can also order a custom-designed set-up. Accessories can be snapped together on the top or bottom of the device. There are only two add-on accessories right now, including an external hard drive in a giant 2x3 Lego plate, and a card reader/USB hub in a 1x2 brick. You can stack the bricks on the bottom or top of the other components, as you’d expect with a snap-on Lego-style system. 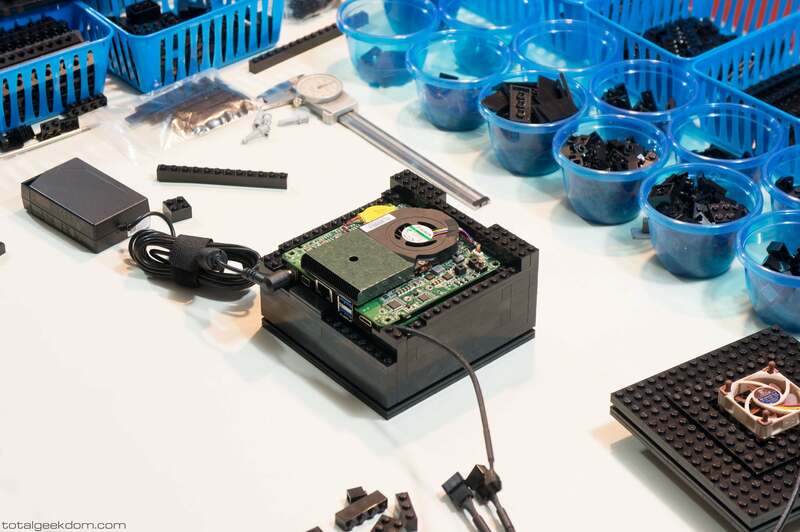 The Micro Lego PC is clearly a work of love. If you want to learn more about the design check out Schropp’s blog post on Total Geekdom, where he details the development of the computer and tackling problems like airflow.